I've put off writing this post for many years because I know it will be controversial. But we're a few days from Christmas, and I also know this post will be a wonderful gift for some people. Chronic or intermittent pain, often located in the back, neck, and/or buttocks, is a major driver of personal suffering and reduced productivity in the US and other affluent nations. While pain can obviously have a variety of structural causes, such as sprained ankles or bruising, garden-variety back pain usually doesn't. I've come to believe that such pain is usually psychosomatic in nature-- in other words, caused by the brain but resulting in physical signs and symptoms in the body. It's widely accepted that a person's mental state can affect pain perception, but this idea goes further. Pain isn't just exacerbated by a person's mental state; it's often entirely caused by it. Obesity involves changes in the function of brain regions that regulate body fatness and blood glucose, particularly a region called the hypothalamus. My colleagues and I previously showed that obesity is associated with inflammation and injury of the hypothalamus in rodent models, and we also presented preliminary evidence that the same might be true in humans. In our latest paper, we confirm this association, and show that hypothalamic injury is also associated with a marker of insulin resistance, independently of BMI. This week's lucky "winner"... the Reese's PBC Burger!! Why Do Girls and Boys Reach Puberty Younger Than They Used To? Girls, and probably boys, are reaching puberty years younger than they did in our great-grandparents' generation. Why? There's no shortage of explanations, but the primary reason is probably quite simple. The main objective of my study is exploring how the Paleo diet is being implemented in practice. I would like to assess the health outcomes of these practices, as well evaluate how closely they conform to, or deviate from ways this diet is being described in theoretical literature, and implemented in controlled diet trials. I also want to be able to use the data collected to help explain what is driving the popularity of the ancestral health movement. Ultimately, I would like this information to be used to better inform protocols for controlled diet trails. The survey took me about 40 minutes to complete. You're welcome to participate whether or not you're on the Paleo diet. Please consider taking the survey, for the love of science! Two weeks ago, I had a brush with Extreme Eating. 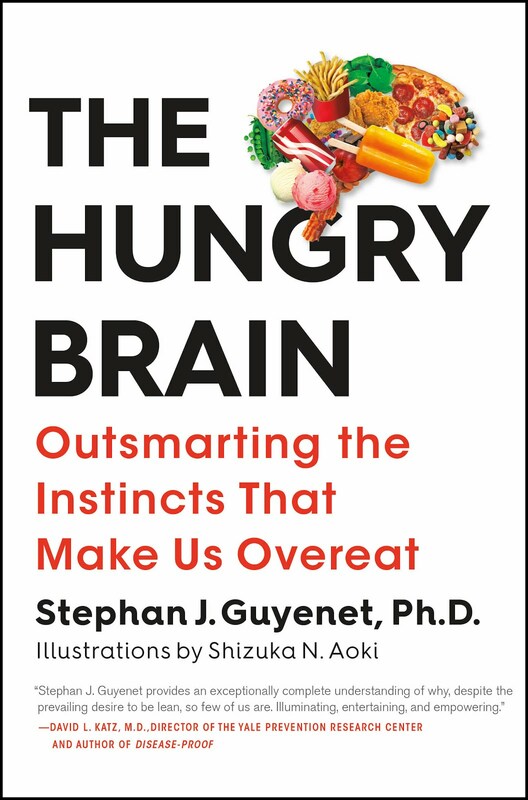 My experience illustrates some important principles of how the brain regulates appetite and body fatness-- and how it reacts to calorie-dense, highly rewarding foods. I'll be out of town with limited internet until September 27th. Feel free to leave comments, but I won't be able to moderate them until I return. Sorry for the inconvenience! Last week, the British Medical Journal published a review article titled "Dietary Sugars and Body Weight", concluding that "free sugars" and sugar-sweetened beverages contribute to weight gain. But what are "free sugars", and why does the scientific literature suggest that the relationship between sugar intake and body weight isn't as straightforward as it may initially appear? The recent low-carb vs. low-fat study has provoked criticism from parts of the diet-health community. Let's examine these objections and see how they hold up to scientific scrutiny. Blood lipids such as LDL and HDL cholesterol are markers of the biological processes that impact cardiovascular disease, and they are commonly measured to assess cardiovascular risk. When we think about the impact of food on blood lipids, dietary fat typically comes to mind. Yet a new study shows that dietary carbohydrate, specifically high-fructose corn syrup, can have a large impact on blood lipid markers of cardiovascular disease risk. Dietary fats have well-established impacts on blood lipids. For example, in short-term feeding trials, saturated fat tends to increase total cholesterol, increase LDL ("bad") cholesterol, and increase HDL ("good") cholesterol, while the omega-6 polyunsaturated fat linoleic acid decreases total cholesterol and decreases LDL cholesterol. For this reason, dietary advice to reduce cardiovascular risk tends to focus on dietary fat. The hypothesis that refined dietary sugar is harmful to the cardiovascular system isn't new. In 1972, British physiologist and nutrition researcher John Yudkin published a classic book called Pure, White, and Deadly, which argued, among other things, that refined sugar is harmful to the cardiovascular system. Yet at the time, the supporting data were weak, and the hypothesis was never taken very seriously by the scientific community. Peter Havel and his group at UC Davis have begun to breathe new life into this hypothesis with their rigorous work on the cardiovascular effects of dietary sugars. Although the concept of food addiction remains controversial, there's no doubt that specific foods can provoke addiction-like behaviors in susceptible people. Yet not all foods have this effect, suggesting that it's related to specific food properties. A new study aims to identify the properties that make a food "addictive". 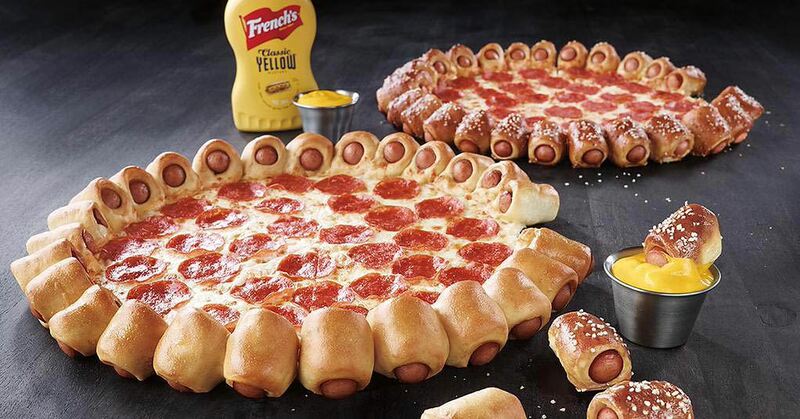 This week's lucky winner... the Pizza Hut Hot Dog Bites pizza!!! In the last post, I reviewed a study by Gerald Reaven's group showing that insulin resistance strongly predicts the risk of cardiovascular disease over a 5-year period. In 2001, Reaven's group published an even more striking follow-up result from the same cohort (1). This study shows that not only does insulin resistance predict cardiovascular disease risk, it also predicts a variety of age-related diseases, including hypertension, coronary heart disease, stroke, cancer, type 2 diabetes, and even overall mortality risk. I recently came across a very interesting paper by the research team of Gerald Reaven, an endocrinologist at Stanford. He has long been one of the leading researchers studying insulin resistance, the metabolic syndrome, and their association with obesity. Reaven's research, and that of many others, suggests that insulin resistance is a central part of the constellation of metabolic disturbances that are so common in affluent nations*. 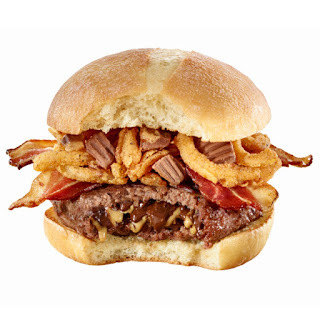 We also have good reason to believe that it contributes to cardiovascular risk. All the way back in 1998, Reaven's group published a paper that should raise the eyebrows of anyone interested in cardiovascular health (1). 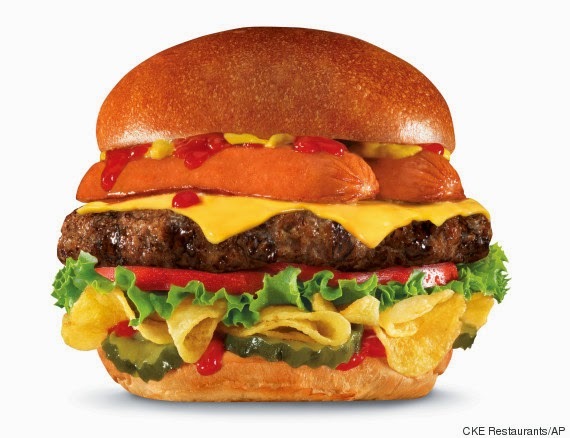 This week's lucky "winner"... Hardee's Most American Thickburger!! 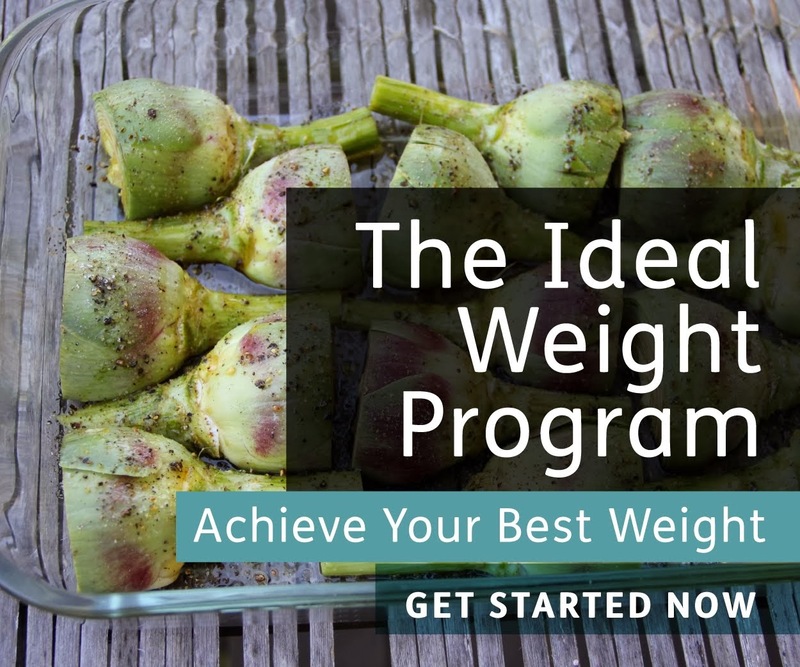 Danny Lennon is an evidence-based nutrition coach who publishes a podcast called Sigma Nutriton Radio. We had a nice conversation about why we overeat, including energy homeostasis and the personal economics of food choice. The podcast has a high production value. You can listen to the interview here. Angelo Coppola and I hit it off recently due to our mutual interests in gardening and self-reliance. We recently had a nice conversation about hunter-gatherer dietary patterns, the personal economics of food choice, US diet history, legumes and the Paleo diet, and how much meat we should eat. You also get to hear a personal story about the only existing video of me as a child (that I'm aware of). This one also has a high production value. You can listen to it here. There is little remaining doubt in the scientific/medical community that high levels of LDL, so-called "bad cholesterol", cause heart disease. Yet in some alternative health circles, the debate continues. A new study adds substantially to the evidence that LDL plays a causal role in heart disease. Do Slower-digesting Carbohydrates Make Us Feel More Full? One of the most common pieces of advice in the health-nutrition world is that we should focus our carbohydrate intake on slowly-digesting carbohydrates, because they make us feel more full than rapidly-digesting carbohydrates. Rapidly-digesting carbohydrates, such as potatoes, stand accused of causing us to overeat, resulting in obesity, diabetes, and many other chronic ailments. Is this true? This week's "lucky" winner... bacon fried Oreos!! I have a sheepish confession to make: until recently, I had a tapeworm, and that's why I'm lean. In 2006, I took a trip to Mexico with a few friends. We often traveled through rural areas, and of course sampled the local cuisine wherever we went. In many parts of Mexico, pork is an important food. Some of it may have been a bit undercooked. Several people have asked for a consolidated list of links to my series on meat and health. Here it is! This should make it easier to share. Is Meat Unhealthy? Part I. Introduction and ethical/environmental considerations. Is Meat Unhealthy? Part II. Our evolutionary history with meat. Is Meat Unhealthy? Part III. Meat and cardiovascular disease. Is Meat Unhealthy? Part IV. Meat and obesity risk. Is Meat Unhealthy? Part V. Meat and type 2 diabetes risk. Is Meat Unhealthy? Part VI. Meat and cancer risk. Is Meat Unhealthy? Part VII. Meat and total mortality. Is Meat Unhealthy? Part VIII. Health vs. the absence of disease. Is Meat Unhealthy? Part IX. Summary. 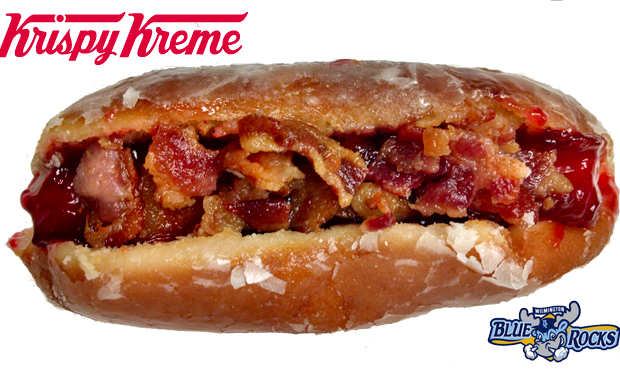 This week's lucky "winner"... a bacon hot dog donut, by Krispy Kreme! This week's lucky "winner"... donuts!! Krispy Kreme donuts being made. Hopefully this image isn't appetizing enough to make you want donuts. I make a half gallon of yogurt, twice a month. I like making my own yogurt for many reasons, but it's a bit of a pain. Since I make large batches, I can't use a standard yogurt maker. I often get distracted and over-heat the milk, and the method I use to incubate the yogurt is wildly inefficient (my beloved Excalibur dehydrator). 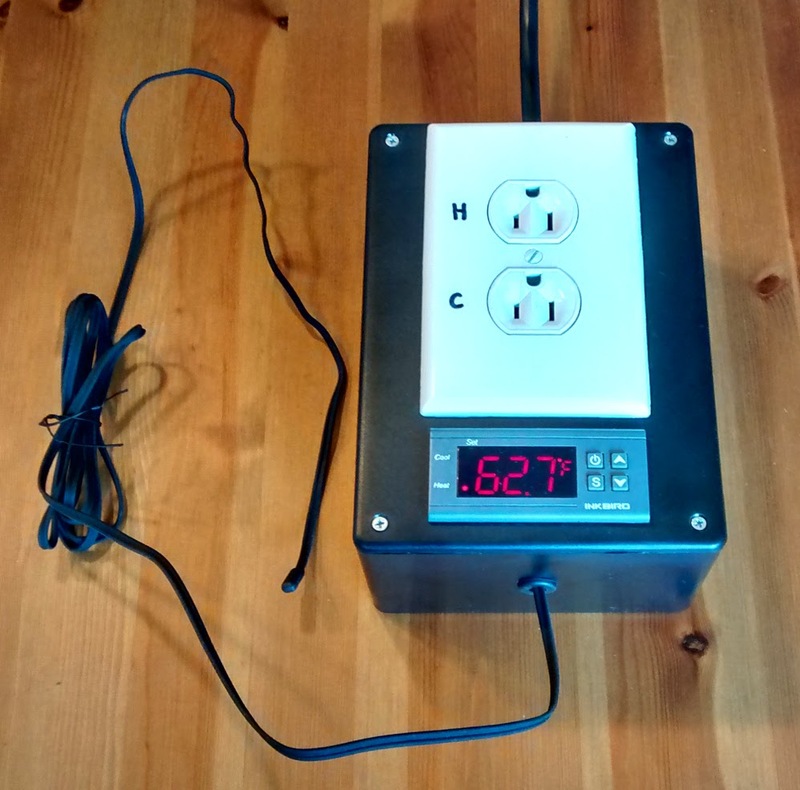 I also need a constant warm temperature for various other fermentation projects, and that's often difficult to achieve with the tools I have. chicken I made with my DIY temperature controller was pretty tasty. I used this recipe from NomNom Paleo. You can build the whole thing for about $40, including the slow cooker. Welcome to the last post in the series. Time to summarize and wrap it up! I respect each person's right to choose the diet they prefer. This includes vegetarians and vegans, particularly because most of them make daily sacrifices to try to make the world a better place for all of us. I'm an omnivore, but I sympathize with some of the philosophy and I often eat beans or lentils instead of meat*. Our ancestors have probably been eating some form of meat continuously for at least two hundred million years. However, the quantity has waxed and waned. The first mammals were probably largely carnivorous (insectivores). Yet our primate ancestors went through a 60-million-year arboreal phase, during which we probably ate fruit, leaves, seeds, insects, and perhaps a little bit of vertebrate meat. We only outgrew this phase in the last few million years, when we developed the tools and the brains to pursue prey more effectively. During our 2.6 million-year stint as hominin hunter-gatherers, we ate an omnivorous diet, although we really have very little idea how much meat it contained (it probably varied by time and place). Historical and contemporary hunter-gatherer cultures are all omnivorous, and typically eat significant to substantial quantities of meat, suggesting that our ancestors may have done the same. Non-industrial agricultural populations eat as much meat as they can get, although they usually can't get as much as hunter-gatherers. If there is such thing as a natural human diet, it is clearly omnivorous. I recently did an interview with Laurent Bannock, an expert in sport and exercise nutrition. His podcast We Do Science has rapidly become quite popular, due to Laurent's credibility and the interesting guests he interviews. We covered body composition, metabolically healthy obesity, the relationship between BMI and mortality, calorie counting, body fat regulation, and other related topics. 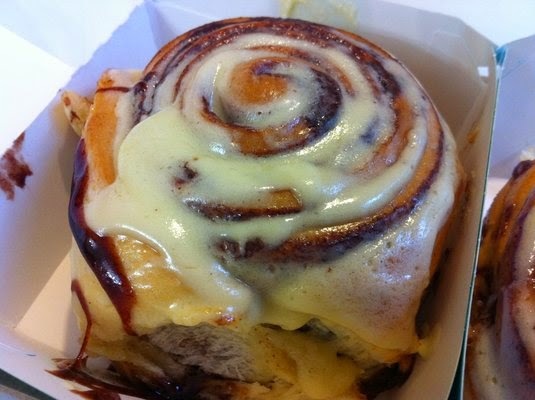 This week's lucky "winner"... the Cinnabon cinnamon roll!!! Health can be defined as the absence of disease, and that is the lens through which we've been examining meat so far. However, most of us have a broader view of health that also includes optimal growth and development, physical and mental performance, well-being, fertility, immunity, robustness, and resilience. What role does meat play in this broader view of health? One of the things I keep coming back to in this series is the strong natural affinity that our species has for meat. Every culture that does not prohibit meat consumption for religious reasons (e.g., Indian Hindus) seeks and eats meat avidly. Why do humans around the globe value meat so much? This strongly suggests that we've evolved an affinity for meat because eating it provides a reproductive advantage. In other words, meat may increase our "Darwinian fitness". 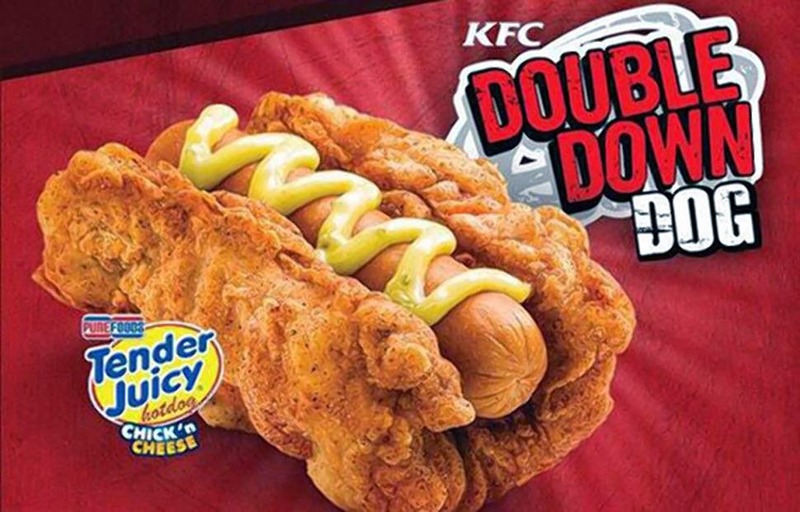 This week's lucky "winner"... the KFC Double Down Dog!! Looking at individual diseases is informative, but it can cause us to become myopic, making broad health-related decisions based on narrow information. It can cause us to miss the forest for the trees. In this case, the "trees" are individual diseases and the "forest" is total mortality: the overall risk of dying from any cause. Does eating meat increase total mortality, shortening our lifespans? Traditionally-living cultures such as hunter-gatherers and non-industrial agriculturalists are not the best way to answer this question, because their mean lifespans tend to be short regardless of diet. This is due to ~30 percent infant mortality, which drags down the average, as well as a high risk of death in adulthood from infectious disease, accidents, and homicide/warfare. It can also be difficult to accurately measure the age of such people, although there are reasonably good methods available. However, there are semi-industrialized cultures that can help us answer this question, because they feature a somewhat traditional diet and lifestyle, combined with modern medicine and the rule of law. The so-called Blue Zones, areas of exceptional health and longevity, fall into this category. These include Sardinia, Italy; Okinawa, Japan; Loma Linda, California; Nicoya Peninsula, Costa Rica; and Icaria, Greece. 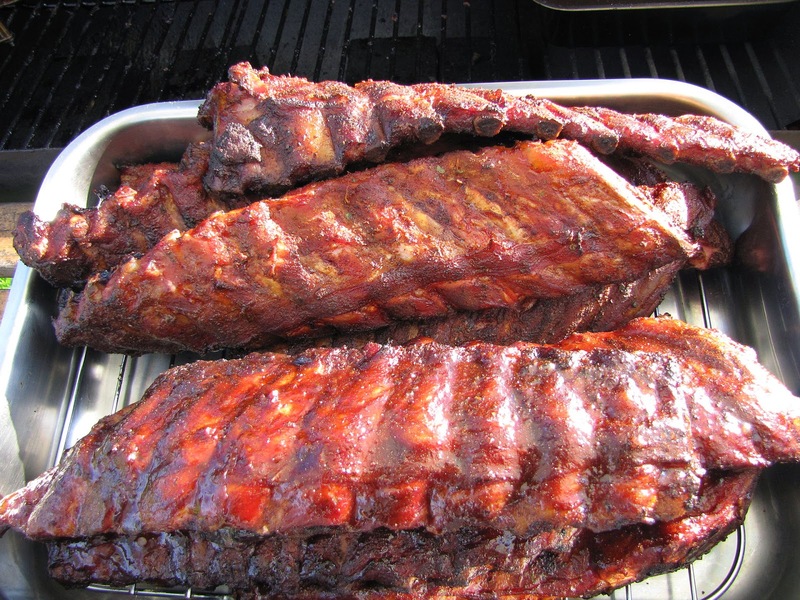 This week's lucky "winner"... barbecue ribs!! In 2012, David Ludwig's group published a paper that caused quite a stir in the diet-nutrition world (1). They reported that under strict metabolic ward conditions, weight-reduced people have a higher calorie expenditure when eating a very low carbohydrate diet (10% CHO) than when eating a high-carbohydrate diet (60% CHO)*. In other words, the group eating the low-carb diet burned more calories just sitting around, and the effect was substantial-- about 250 Calories per day. This is basically the equivalent of an hour of moderate-intensity exercise per day, as Dr. Ludwig noted in interviews (2). The observation is consistent with the claims of certain low-carbohydrate diet advocates that this dietary pattern confers a "metabolic advantage", allowing people to lose weight without cutting calorie intake-- although the study didn't actually show differences in body fatness. In Dr. Ludwig's study, calorie intake was the same for all groups. However, the study had an important catch that many people missed: the low-carbohydrate group ate 50 percent more protein than the other two groups (30% of calories vs. 20% of calories). We know that protein can influence calorie expenditure, but can it account for such a large difference between groups? In this post, I'll examine the possible relationship between meat consumption and cancer risk. Is cancer risk even modifiable? Cancer is caused by the uncontrolled division of a population of rogue cells in the body. These cells essentially evolve by natural selection to escape the body's multiple anti-cancer mechanisms. To a large extent, cancer appears to be a numbers game. The human body contains about 37 trillion cells. To get cancer, all you need is one cell that develops key mutations that allow it to shed its built-in restrictions on cell division. The older you are, the more time you have to accumulate mutations, explaining why cancer risk rises sharply with age. Unlike other common non-communicable diseases, we don't know to what extent cancer is caused by modifiable diet and lifestyle factors vs. bad luck that's completely outside our control. Some cancers, such as lung cancer, are typically linked to lifestyle factors like cigarette smoking-- yet the majority of cancers aren't so easily understood. This week's lucky "winner"... croissants! !